Join us this week at CREW as we worship and fellowship together! Hope to see you here! Join us starting at 5:30pm for dinner! See you there, and bring some friends!! We guide our children into a faithful, loving and joyful relationship with God. We join their families and our church community in offering our children shelter, nurture and spiritual fellowship, empowering them to live according to God’s purpose. We rejoice, trusting that the grace of our Lord Jesus Christ and the presence of the Holy Spirit will be reflected in their lives. Through music and movement; word and art; play and worship; service, Scripture and sacrament; we lead our children to discover the truth in our faith story. There are two nurseries to provide loving child care during worship by adult and youth care givers employed by the church. The nurseries are open fifteen minutes before and after each service. The Infant Nursery serves children up to 18 months of age or older, depending on their ability to walk. It is located on the main level next to the west entrance. The Toddler and 3 Year-Old Nursery serves children who are 18 months of age and up to 3 1/2 years old. (See “preschool class” for entry guidelines for the next age level class). The nurseries are located on the main level off the narthex. Silent pagers are signed out by all parents and must be returned to the nursery attendant before the children may leave the nurseries. We also have a Joyful Noise Room available off the narthex. This room is designed for families with young children who may not be accustomed to worshiping in the sanctuary. Children ages 4 through 2nd grade are invited to the Worship Center following the children’s message each Sunday. The Worship Center provides a place for children to go to worship God and to hear, see and respond to the stories of God through a curriculum designed especially for them. Children can experience the love and presence of God in a unique way. In the Worship Center, they will develop an understanding of and appreciation for worship that will last them a lifetime. When the children reach the 3rd grade they remain with the congregation throughout the worship service. We offer Christian Education to all children, Preschool through 5th grade, on Sunday mornings during worship 10-11am. The “Worship Center” is our Sunday School class for our Preschool-2nd grade students and is set up as a storytelling center. We are currently using the curriculum, “Young Children and Worship”, with a teacher teaching the story from scripture. Our Sunday School class for our 3rd-5th grade students is based on the “Whirl Curriculum” which explores scripture in a fun and engaging way! We are blessed to have wonderful volunteers to teach Sunday School every week. Our teachers are committed to teaching once a month in their assigned classroom. If you are interested in being a Sunday School Teacher, please contact Carrie Griffin at the church. Children have the opportunity to meet weekly every Wednesday evening for fun and fellowship and service. Come as a family to eat together in the Fellowship Hall from 5:30 p.m.—6:15 p.m.; Then children ages kindergarten—5th grade can go to the Lower Level for CREW Club. We spend the evening building relationships, diving into God’s word and serving others. Seasonal programs include a Lenten Spiritual Walk, the Block Party, an Advent Festival and the Christmas Pageant. Vacation Bible School is probably the busiest week of the year as children from the church and community gather for a week of learning and playing together to learn more about God’s love. All children 1st – 5th grade are invited to attend a meaningful Communion Class held on Ash Wednesday every year. Come, sit around the Communion table and hear the story of when Jesus broke bread with his disciples and what it means for us today. Stay for dinner and then join your family for Ash Wednesday service, where you will participate in Communion and receive oil and ashes. It’s an evening to remember. It is the policy of this church that all baptized children of any age are invited to receive the Lord’s Supper at the discretion of their parents. The Children’s Library is open Sunday mornings and anytime the church is open for families to check out videos or books to take home. We have a great selection of picture books. DVD selections include Veggie Tales, What’s in the Bible and many more.  To find out more about Children’s Ministries at the Presbyterian Church, please email Rev. Jose Lopez at jose@tcpresby.org or call the church office, 231-946-5680.